Blessed with a blistering turn of pace, 24-year-old Edwin Soi has earned recognition as one of Kenya's potent middle distance athletes having medalled at two major track events where he has represented his country thus far. 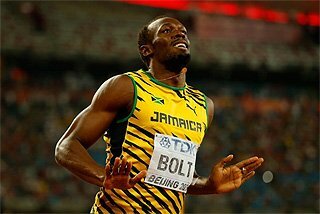 His rapid development since 2006 when his prodigious talent first came on show has forced the world of athletics to take note. If the races he has competed in, especially on the overseas track and road circuit, were translated into popular aviation travellers’ air miles, Soi would enjoy handsome flight discounts. The reigning Olympics bronze winner and African champion over 5,000m has racked up an impressive catalogue of commendable performances over the 12 and a half lap race, 10,000m, 3,000m, 10km and cross country from Kericho, his home base. His style is reminiscent of another Kenyan 5000m runner, Abraham Chebii, who burst onto the scene in 2003 and dominated races with a devastating finishing kick that had Ethiopian rivals Kenenisa Bekele and Haile Gebrselassie worried. Soi is comfortable in various mid to long distances on the track, indoors and out, just as he is on the road. Aged 16, he finished third in the 10,000m at the 2002 Rift Valley Provincial Secondary School Championships, in Nakuru, clocking 29:56.4 to sail to the national finals. His next stop was the National Junior Championships, in Nairobi, in which he came fifth (29:06.5) thereby missing a chance to make an international debut at the World Junior Championships, in Kingston, Jamaica. Soi began 2003 with second place in the junior men's race at the Kisii Cross Country in January but he came unstuck at the National Cross Country Championships in February, finishing 30th in the junior men’s event. In December 2003, Soi resumed his quest for a place in Kenya's World Cross Country team, finishing third in the men's 4km race in Eldoret and winning the 8km junior men's race in Sotik. But, understood to be injured, he faded from view as the winter season progressed and another World Cross Country passed him by. Soi bounced back in 2004 to participate in various GP and Permit races as his track and road race career started to build shape. April saw the blossoming talent pitch tent in Spain for a series of invitation events. He won the 3000m at the Torrevieja meeting (8:11.66) before emerging runner-up (7:56.3/SB) over the same distance at the Alfaz del Pi meeting behind compatriot Peter Kamais (7:53.5). Three days later, he posted a similar position in the 1500m (3:46.92) race at the Alicante meeting before winning the Barcelona 10km road race in 28:32.5 just 24 hours later. He took top honours over 5000m (13:54.76) at the Aviles meeting and ran a personal best 5000m with 13:22.57 at Pergine Valsugana, Italy, before returning to Spain to conclude his tour with another 10km (28:18) victory in Madrid in November. Soi finished seventh in the junior men's 8km race at the 2005 National Cross Country Championships, but although he failed to gain a ticket to represent his country at any major international event, he continued to lower his personal bests on all distances, including a respectable 13:10.78 achieved at the Sevilla Grand Prix meeting in June. In 2006, Soi made the national cross country team for the first time after finishing fourth in the senior men's 4km trial race for the World Cross Country Championships in Fukuoka, Japan. He finished eighth in Fukuoka, an occasion that marked the end of the short-course race at the World Championships. Alongside Isaac Songok, Benjamin Limo and Augustine Choge, Soi climbed the podium as a member of Kenya’s winning team. The then 20-year-old followed that by humbling 2005 World Championships 10,000m bronze medal winner and compatriot, Moses Mosop, twice in five days to claim successive road race victories, first at the Dongio 10km (April 17, 28:27.3) followed by the 8.8km Heillecourt event (24:05, April 23) . Soi continued his vein of good form by clinching the Marseille 10km race in a career best 27:46 on May 1, but things did not go according to plan at the Ostrava Golden Spike permit meet, where his impressive run came to a temporary halt after he finished ninth in the 3000m (7:48.78). Soi recovered to win over the same distance in 7:39.74 at the Primo Nebiolo Memorial meeting in Turin a week later. At the beginning of July, he dipped under 13 minutes at 5000m for the first time (12:59.45 at the Golden League meeting in Oslo) before further lowering his PB to 12:52.40 at the Golden League meeting in Saint Denis, Paris, in July, finishing second only to Kenenisa Bekele. He then won the 3,000m race at Lausanne GP in a 7:31.84 PB three days later. Other races followed in Stockholm and Zürich before Soi set yet another PB, this time in the 10,000m, at the Van Damme Memorial GP in Brussels with 27:14.83. This performance marked four times over as many distances (3000m, 5000m, 10,000m and 10km) that Soi had broken into the Top 10 lists for the year, and buoyed him for his maiden appearance at the World Athletics Final in Stuttgart. Doubling up in his favoured 3000m and 5000m races, he clinched silver in both. Like all reputable Kenyan distance runners, Soi's initial focus in 2007 was firmly set on the World Cross Country Championships in Mombasa, an event where local athletes aspired to return to the pinnacle of global athletics after poor showings in the 2004 Athens Olympics and 2005 Helsinki World Championships. As build up, Soi, now an established senior runner, won the Le Mans 9.6km cross in France, following it with runner-up placing at the Huesca Alos 10.56km cross. He skipped the 2007 National Cross Country Championships in Mombasa but, two weeks later, finished sixth in the 12km race at the National Trials at Ngong race course. 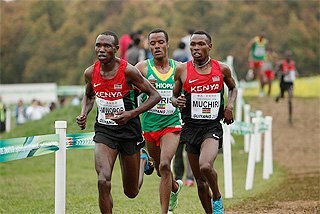 At the World Cross, on March 24, Soi finished ninth, but had the consolation of forming part of the winning Kenyan team that also included of Mosop, Bernard Kipyego Kiprop, Gideon Ngatuny, Hosea Macharinyang and Michael Kipyego who trooped home ahead of Soi in that order. He started the track season with a PB 8:16.98 in the rarely contested Two Miles race in Hengelo, but the first part of his season was not as impressive as the previous year, with his best results being a 13:10.21 victory at 5000m in Lausanne and a 7:40.30 at 3000m in the Paris-Saint-Denis Golden League meeting. 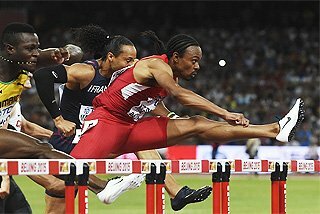 Soi’s plans to feature in his country's 2007 World Championships team for Osaka came to a cropper after he finished fourth at the National Trials in 13:30.4 (28 July). He returned to the European circuit, gradually picking up form in Zürich (7:39.02 for second) and Rieti (7:34.07 for third) and his Osaka disappointment was erased when he lined up for his second World Athletics Final in Stuttgart. On September 22, Soi employed his devastating kick to maximum effect to strike 3000m gold in 7:48.81 and, hardly had dust settled when, 24 hours later, he won his second top medal by blowing away the 5000m field in 13:38.16 after he let rip with 200m to go. "Back home, even our sprinters are afraid of me," said Soi afterwards. Becoming the first Kenyan to clinch the 3000m/5000m double at the World Athletics Final saw him earn a lucrative pursue of $60,000 (Ksh4.2m at the day's exchange rate) and the golden season ended with Soi alongside Kenyan-born female Dutch runner and World Cross and Road Running champion, Lornah Kiplagat being rated as the top road runners for 2007 by editors of the respected US-based Running Times website. Keen to remain etched at the top, Soi began the 2008 season doing what he has perfected in time ¬– in hot pursuit of major championship and grand prix meet honours. "I want to win a medal in Edinburgh,” he said, looking ahead to the World Cross Country Championships in March. However, with cross country competition in Kenya disrupted because of safety concerns following post-election skirmishes that rocked the country, Soi, like most of the country's top runners, pitched camp in Europe to prepare for upcoming assignments. On February 9, in Valencia, and on the same track that hosted the World Indoor Championships, Soi clashed with Kenenisa Bekele who was attempting to chase compatriot Daniel Komen's 3000m World record of 7:24.90. The Ethiopian distance running master engaged his trademark finishing thrust with 260m to go but Soi hung to his coattails and eventually took second in 7:36.70. Bekele clocked 7:36.08. Soi's performances and blistering form saw Athletics Kenya (AK) name him to the national team for the World Indoor Championships and, although he was given a wildcard for the World Cross Country trials, he finally opted not feature, having competed in only one cross that year (victory in San Giorgio sul Legnano). At the Valencia global event in March, Soi won his heat in 8:03.54 bettering Ethiopian Tariku Bekele but lost out to the youngster who won gold at the final where as he slumped to fourth in 7:51.60. Soi recorded two runner-up finishes at the World Athletics Tour events in Qatar (7:32.13, 3000m) and Hengelo (13:13.88, 5000m) in May before settling for seventh (13:13.53, 5000m) in early June at the Berlin Diamond League meeting. 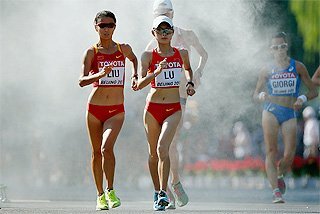 At the selection event for the Beijing Olympics on 5 July, Soi employed his trademark afterburners at the bell, forcing 2003 World champion Eliud Kipchoge, his closest challenger, to take runner-up. Soi recorded 13:29.5 against Kipchoge’s 13:32.4. 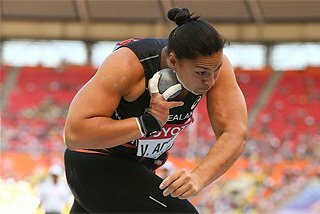 “I felt that I still had much more petrol in the tank but when I realised I would win, I slowed a bit to soak in the moment when I made the Olympics team,” Soi said. A fortnight later, Soi won the 3000m event (7:36.71) at the Paris Golden League. “I have been performing brilliantly at Grand Prix events but not in Kenyan colours. This year, I decided to focus on doing my country proud and that is why I wanted to qualify for Beijing so badly,” Soi who came from a very humble background said as he headed to the Olympics. 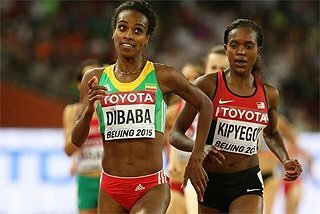 In Beijing, Soi and his teammates had no answer to Kenenisa in the 5000m medal race as the Ethiopian sealed the 5,000-10,000m double. As the distance maestro opened the longest kick witnessed at the Games with 2000m to go, Kipchoge and Soi went with him but in the end, they settled for silver (13:02.80) and bronze (13:06.22) in what was the latter’s year best performance over the distance. Thereafter, he raced his 3000m SB of 7:31.83 with victory in Rieti (7 September) before retaining his 5000m World Athletics Final title in 13:22.81 and surrendering his 3000m crown for a second finish with the clock reading 8:03.55 a week later. 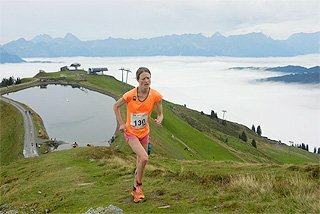 Soi concluded the year on the roads, winning in the Scicli 10km (28 September) just after the WAF, then was second in Houilles 10km (28 December) before posting another win at 10.05km in Bolzano three days later. 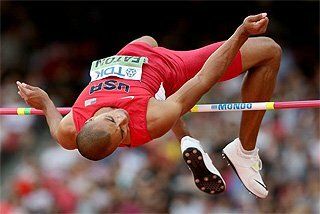 2009 being a World Championships year, Soi approached it with an aim of making the national team for Berlin, but unlike the previous two seasons, he failed to command main event heights. Soi started the track season with a promising 7:31.50 over 3000m in Doha (third, 8 May) but then, head of the 25 July Trials, Soi featured in races in Europe without shining (fourth at 3000m in Lausanne, fourth in Hengelo, ninth in both Oslo and Berlin at 5000m) before his Berlin hopes dissipated after running a dead heat 13:24.2 with third placed Kipchoge for fourth at the selection event. On 28 August however, Soi came close to upsetting the freshly minted 5000m World champion, Kenenisa, in Zürich when he clocked the number two time of the year, 12:55.03 that was only beaten by the Ethiopian’s world leading 12:52.32. In finishing third in Rieti on 6 September, Soi improved his 3000m personal best to 7:31.48 and at the last ever WAF in Thessaloniki a week later, he relinquished his 5000m title with a 13:29.56 run for bronze and failed to medal in 3000m after clocking 8:06.69 for seventh. 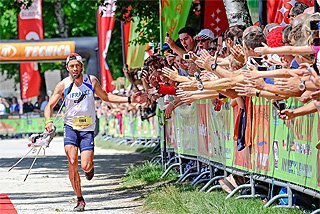 A more successful campaign on road races followed, with three victories on Italian soil at 10km in Scicli, Trento and Bolzano, while his best time was 28:40 for fourth in Houilles, France. 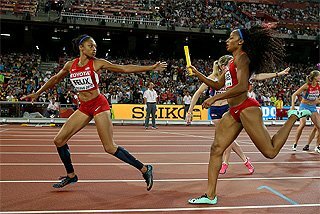 Soi switched to indoors at the beginning of 2010, with a best mark of 7:36.72 in Stockholm, then notched up disappointing outdoor placings in Hengelo (eighth at 300m) and Oslo (twelfth at 5000m) before returning home. 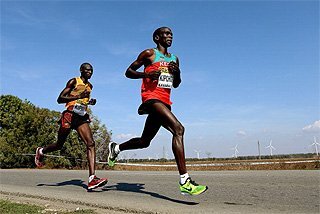 With the 2010 African Championships being hosted in Kenya, Soi was among the horde of the country’s runners itching to perform their craft in front of adoring compatriots. He duly secured his ticket at the 24 and 25 June Trials for Nairobi 2010 after following youngster Vincent Yator (13:35.01) home in 13:35.09. At the continental event, a dramatic finish where Yator, who had injected the burst that separated the Kenyans from their rivals in the sixth lap, tripped on the inside kerb with 20m, to go allowed Soi to nick in for victory in 13:30.46. Yator and Mark Kiptoo sealed the first Kenyan podium sweep over the distance at the event. “I’m happy to win and the crowd was fantastic but I have to give credit to my teammates for making this possible. 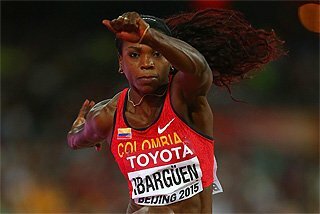 Yator did all the work,” Soi said. His triumph earned him selection in the African team for the 4 and 5 September Continental Cup (formerly World Cup) in Split, Croatia. Soi warmed for the assignment by running season’s bests of 12:58.91 over 5000m in Zürich (sixth/19 August) and 7:33.21 over 3,000m in Berlin (third/22 August).